The 33,000-square-foot Aquarium of Genoa is the largest aquarium in Europe. Located in the old harbor area of Genoa, Italy. 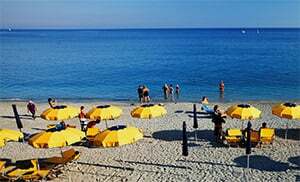 They do this by giving the visitors knowledge and understanding about the inhabitants of these marine environments in an entertaining way. 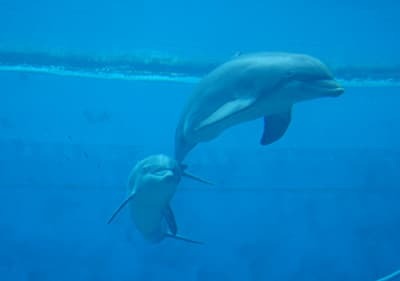 The Aquarium of Genoa states that the word Edutainment (a mix of education and entertainment) describes their mission the best; combining culture, education, entertainment, excitement and amusement in a unique and meaningful experience. The second largest aquarium in Europe has over 10,000 square meters of exhibition space, with 70 exhibition tanks containing 15.000 animals from 400 different species. The Aquarium offers an exciting journey through the oceans, from the beginnings of life to more contemporary concerns, such as the fragility of the current marine ecosystems. 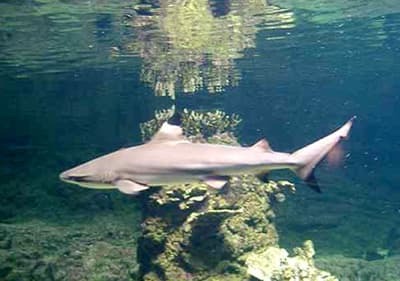 When visiting the aquarium you will meet different types of fish, sea mammals, reptiles, amphibians and birds. A few examples of the inhabitants are: manatees, seals, penguins, jelly fishes, dolphins, sharks and colorful fishes of the coral reef. But even more special are the Antarctic fish species, because the Aquarium of Genoa is the only aquarium in Europe that displays these species. In the Grande Nave Blu, the large blue boat, there is a new exhibition. Here one can pet manta rays, and then suddenly come up against baby crocodiles. Around every corner awaits a new surprise, just like a dive into the depths of the ocean. The 3-D film "Invisible Ocean" gives you the opportunity to be part of the fascinating world of plank-tonic microorganisms. Another very nice attraction for children is the pirate ship "Neptune". You cannot find it in the Aquarium of Genoa, but in the next port of Porto Antico. The sailing ship was designed especially for the film "Pirates" by Roman Polanski, which was published in 1986. It represents a Spanish battleship from the period of 1680-1710. The huge ship has three decks, is 63 meters long and 16 meters wide. It is even seaworthy and has 70 cannons. After the shoot, the film company has decided to turn the ship into a museum. 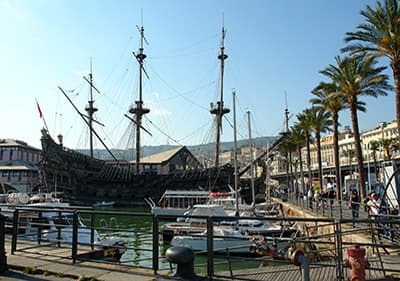 It is currently located in the old port of Genoa and is open for visitors of every age. However, especially young visitors are amazed at the sight of the huge statues of Neptune, with which the ship is equipped. The tour through the ship can awake the pirates in the little ones! 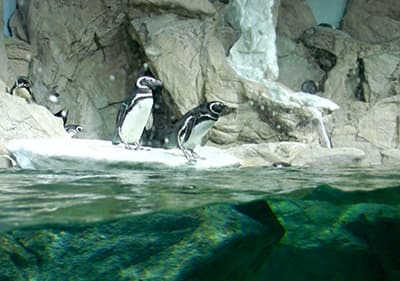 At the Aquarium of Genoa, you have the opportunity to buy a combined ticket for admission to the aquarium and to the city of children and young people (La città dei bambini e dei ragazzi). The city of children and young people is the largest exhibition for the offspring in Italy. Experience the nature and playfully discover the secrets of science and technology. Not just for kids an exciting event, but also for the parents. On the one hand they can watch their children here; on the other hand they are also involved in some games. Therefore, it should be one adult per child. Do not miss this adventurous journey!